Although a brand-new, properly installed roof is designed to last for decades, you can help make sure that yours does just that with regular inspections. 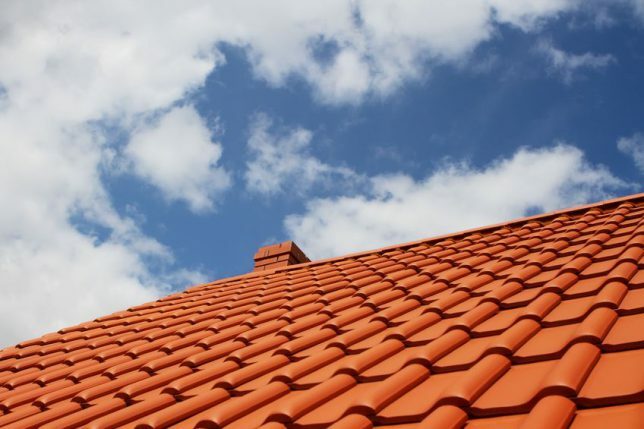 Knowing which factors affect the performance of your roof and which minor maintenance tasks you can do yourself will go a long way toward keeping your new roof in great condition. Sunlight: UV light and high temperatures can cause deterioration, particularly on southern- or western-facing sections of your roof. Trees and leaves: If a falling branch is heavy enough, it can puncture your roof shingles. Leaves left to accumulate on any surfaces hold in moisture, which can lead to rot. And branches that are in contact with your roof can scratch it when the wind’s blowing. Moisture: Attic spaces that don’t have adequate ventilation can lead to a build-up of condensation or moisture, which facilitates wood decay. Rain: When rain gets underneath roofing materials, it can travel to the roof deck and lead to rot. Ice or snow: Ice dams can occur when snow has melted and refrozen; when this happens at your roof’s overhang, drainage can be compromised. Melting snow or ice can become backed up beneath shakes or shingles, then make its way to places it shouldn’t be. Algae or moss: Again, moisture is the culprit, creating conditions that encourage the growth of moss and algae. Do-it-yourself cosmetic fixes are rarely a good idea. Worn-looking shingles means it’s time to call a professional instead of being tempted to paint your roof. With a new roof, you shouldn’t see any wear for a long time. If you do, it may be a sign that work may need to be redone in some areas, so call your roofing contractor. Avoid walking on your roof. High temperatures can soften shingles and cold weather can make them brittle, so if you must get on the roof, wait until more temperate times of day in extreme temperature conditions. If algae appears, don’t use bleach to get rid of it. Not only is it corrosive, but you don’t want chlorine bleach to run into your groundwater. It’s better to attack the cause of the problem, such as cutting back branches or vines to let in more sunlight. Pressure washing is another task that’s best left to professionals. The powerful jets can knock off embedded granules in asphalt shingles and compromise the structural integrity of the shingles. Keep your roof and gutters clear of debris. Proper gutter drainage and roof surfaces free of leaf or other debris build-up are one of the best ways to make your new roof give you plenty of trouble-free years. Leave roof repairs to the Contractor Connection pros. Protect the investment you’ve made in your new roof by calling on top-quality roofing contractors for repairs. Our network of contractors meet rigorous industry standards, and every contractor’s workmanship is backed by a three-year warranty. To be matched to one contractor that’s right for you, simply enter your ZIP code at the top of the page for a response within 24 hours.